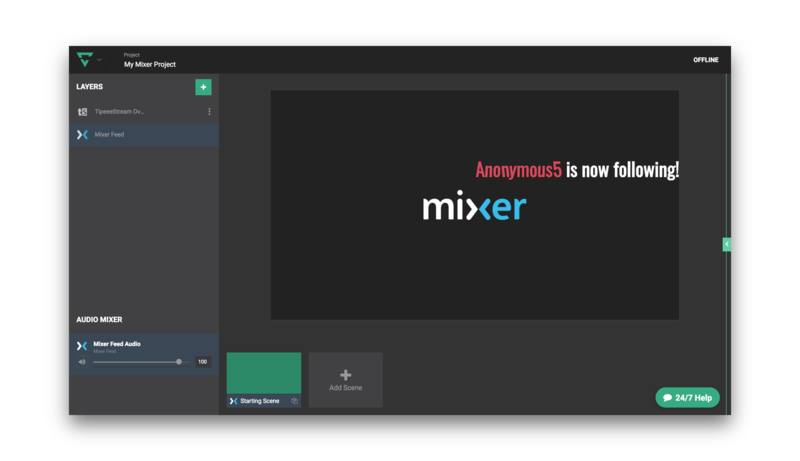 How do I add my TipeeeStream overlay? 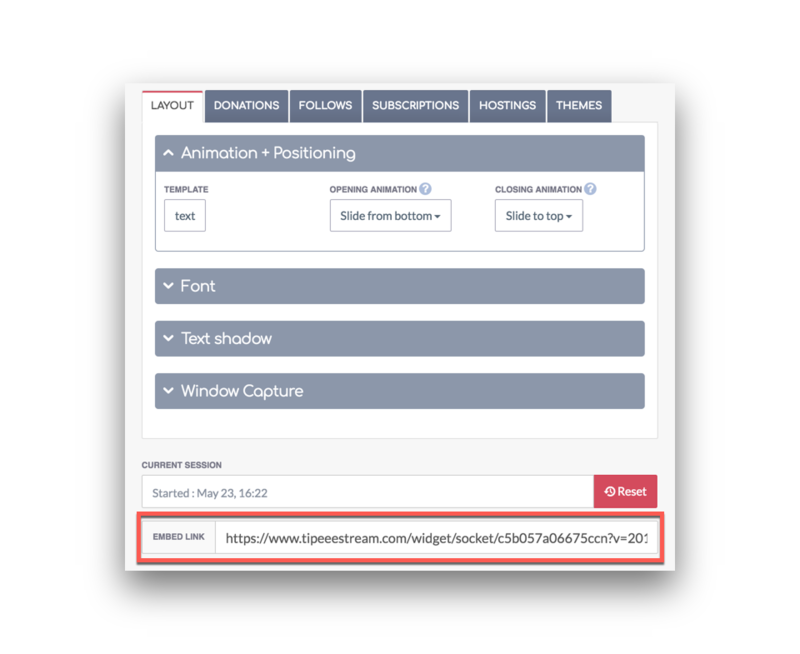 It's easy to add TipeeeStream widgets to your Lightstream projects! Begin by visiting the TipeeeStream website, and connecting your streaming service account if you have not already done so. When asked, authorize TipeeeStream to access your account. Click on “Approve” to continue. Next, choose the widget type you’d like to configure. TipeeeStream offers many different types of alerts and overlays for you to choose from. In this example, we’ll be adding an Alert Box. From this screen you can choose how you would like your widget to display. When finished, click on the URL next to where it says EMBED LINK. This is the address you will need to copy into your Lightstream project. Head back to your project in Lightstream, and add a layer to the scene on which you’d like your TipeeeStream alert to display. In the box that reads Enter a TipeeeStream URL you’ll paste the address you copied in the last step. Press enter, and you should receive a message that your alert has been loaded. Please note that you’ll need to repeat this step for any additional scenes you’d like your alert to display on. You can now drag the alert box and resize it however you’d like within the current scene. It may be helpful to test your alert by clicking on one of the “Simulate” buttons on the TipeeeStream site. A successful test should display your alert within the Lightstream preview window, as shown above.